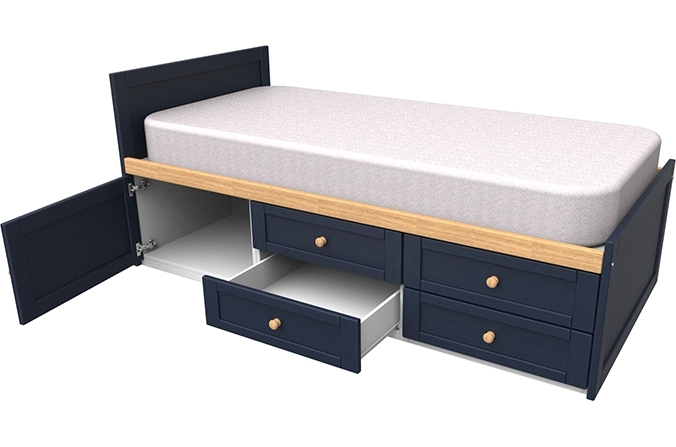 Solid and classic, the Sierra collection storage bed is perfect for neatly storing extra items in your kids bedroom. 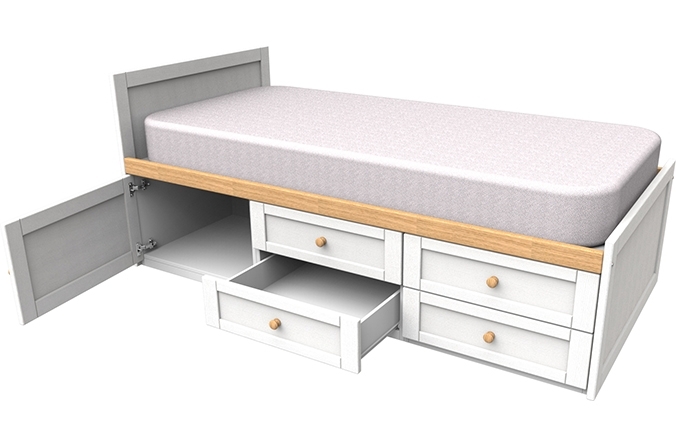 The simple design and style of this storage bed is sure to last generations. This storage bed is made from solid ash hardwood, with beautiful features of oak including oak drawer knobs. Also available in white to suit your decor and little ones personal style. 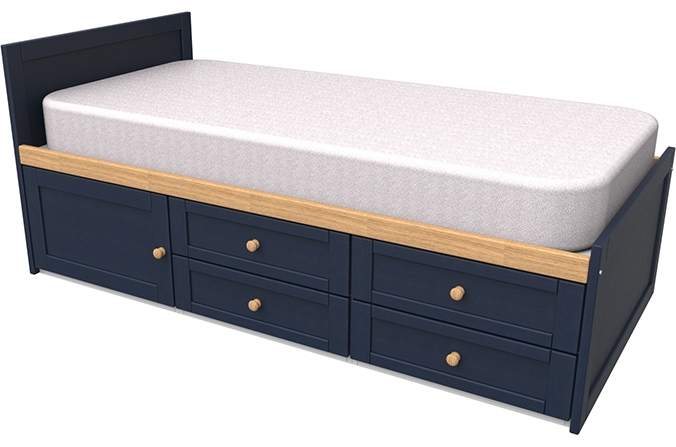 Sierra Collection Navy Storage Bed. Made from ash hardwood with oak veneer detail. 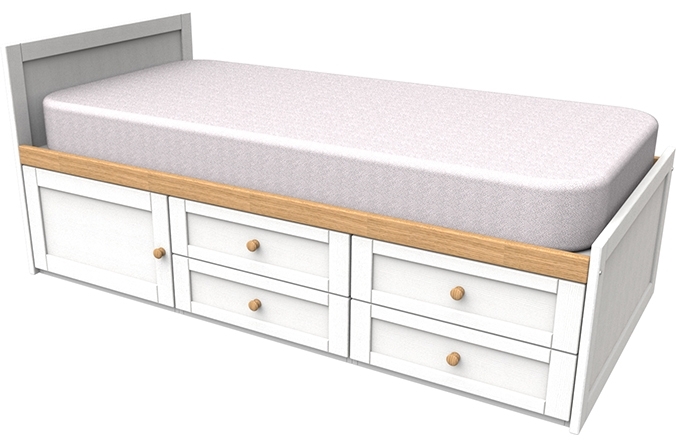 A beautiful classic bed ideal for storing extra items in your kids bedroom. With classic oak knobs and a grooved head and footboard, this style is sure to last generations. All drawers are set on metal easy glide runners for extra durability, soft close options are available. Please note colours may vary depending on screen resolution. 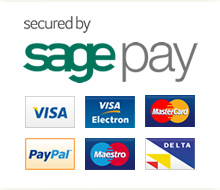 Please request sample colours from our team to view an accurate representation.